This Portland-made water pipe is cast from an actual Honey Bear bottle. 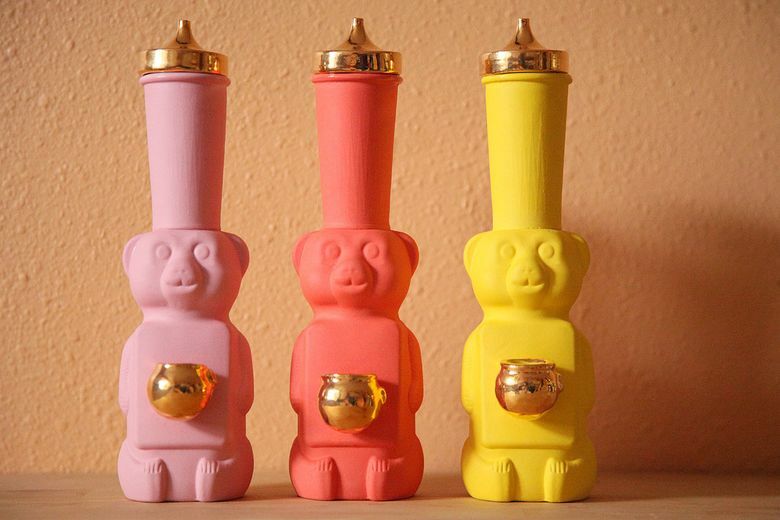 Have your cutest 4/20 yet with the new Candy Relics Honey Bear Bubbler, handmade in Portland. Fun and functional (but for adults only, of course), the adorable water pipe is cast in porcelain from an actual Honey Bear bottle. A glazed, food-safe bowl is attached to the front, with an easy-to-use carb on the side. It’s available in black, blue, lavender, mango, pink, yellow and turquoise, with 22-karat gold adorning the bowl, lip and lid to elevate the experience.